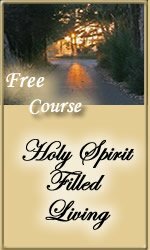 In Lesson 2 of our free Bible study on the Fruits of the Spirit,we talked about love, joy, and peace. 1.Why do you think that it is significant that Jesus uses the action verb Agapao to describe the kind of love that the Holy Spirit wants to develop inside of you? I believe and am thankful for Christ using the VERB Agapao to describe love because we have been so accustomed to "love" being an emotion. Love is a do-word, an action. As we work on doing love, others are blessed. As we aspire to increase our love (as actions) to others, God will bless us with His peace and joy. 2.Why do you think God tells you that His joy is what acts as your strength during trying times? Can you think of a time when His joy kept you strong? Joy per a dictionary simply states "an emotion of great happiness". Who isn't desiring happiness, let a alone GREAT happiness. His joy is what is ever-present and ever-lasting. The joy that we can have here in this world tends to fade and wait until another joyous moment sparks it up again. It is nice to know that He works out ALL things for good. He kept my joy strong in the midst of my youngest child being in the NICU post-birth. As I/we tended to her needs, the two older children also needed to be tended to. HIS JOY is what I was so greatful during that trying time and I reflect on that time of Peace often! 3. Why do you think so many Christians today struggle with receiving and maintaining God's peace? Do you feel that you have a problem maintaining your peace? People today are bombarded with so many stimuli. Tough to have peace when there is ALWAYS so much to do or get done. Tough to have peace when there is usually someone coming at you with a complaint. In studying the fruit of the Spirit, I am so thankful to be SO much more aware of the peace that is available to me even when the relationships that I am involved with are in temporary turmoil. I read and truly enjoyed your article,for God truly is our all & all and He stands with us through our all. I thank God for your sharing with us.